We hope you've enjoyed playing Nimble Quest as much as we have. NimbleBit's fresh take on the old cell phone game Snake became an obsession, thanks to its pick-up-and-play nature and user-friendly controls. It's also an ideal game for downloadable content, and it seems the developers will update the app frequently. 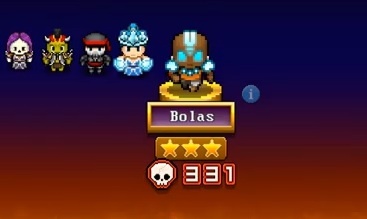 In fact, there's already DLC on the way in the form of a new character by the name of Bolas, an elemental monk that shoots spinning blasts of energy. No word on release date, but you can see Bolas in action in this new video.